As many of you will know, using Safyr we can pull metadata from a range of ERP and CRM products, including SAP, Salesforce and PeopleSoft. Customers often ask about other packaged applications that they have implemented. “Can you also do XYZ product?”, and our answer used to be “No – we can only do the fixed set of products we address”. That all changed a little while back when we added what we call ‘ETL for Metadata’ to Safyr. This is the capability to map the metadata in the required package into the Safyr repository structure. It requires a little scripting work, and this capability is covered by the new feature. Obviously there needs to be ‘useful’ metadata in the package in order for us to add value (in other words we cannot make something from nothing). In particular, the package really needs a definition of relationships somewhere in its metadata layer, because that is one of the most useful navigation methods. We’ve used this capability to address Microsoft Dynamics CRM. The picture represents a model of a group of ‘Dynamics’ tables, represented in the Safyr ERDiagrammer that shows what the result is. 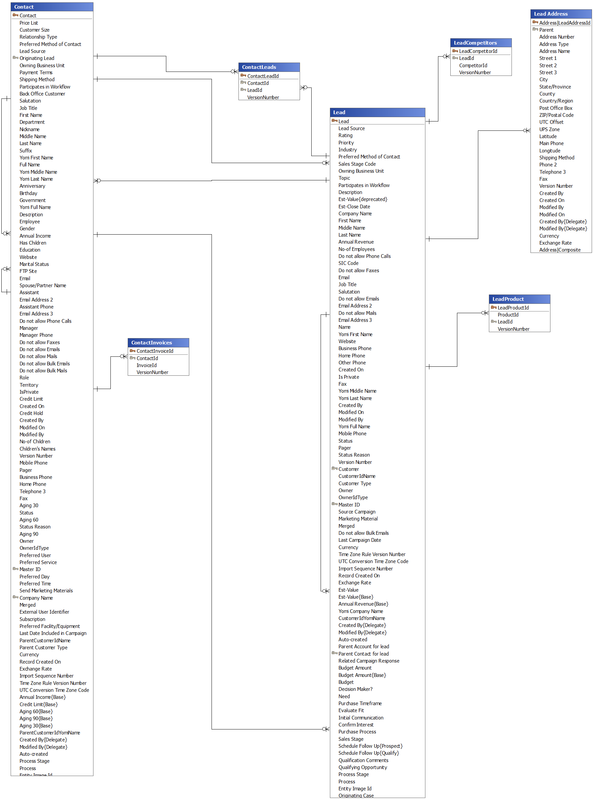 Building the ETL for Metadata capability for this took about 5 days. The great thing about the approach we have taken in building the ETL for Metadata capability is that once the mapping is done, it will work with any package of that type, so in this case any Microsoft Dynamics CRM system. It also retains one of the main advantages of Safyr which is to retrieve customisations to the application’s standard data model. I can provide the model in other formats (ERwin, ER/Studio, PowerDesigner etc.) if required – just let me know by commenting on this post. If you are going to Enterprise Data World in Washington DC next week (29th March to 3rd April 2015), please come and find us and ask to see how Safyr harvests metadata from this and other packages. This entry was posted in Data, Data Model, Enterprise application, Enterprise Information Management, Enterprise Metadata Management, Metadata discovery, Microsoft Dynamics, Uncategorized and tagged applications, Data Discovery, data model, Enterprise Information Management, metadata, Microsoft Dynamics, Safyr. Bookmark the permalink. You can use Safyr to export metadata from Dynamics in a format compatible with ER/Studio. This creates a fully functional ER/Studio data model.